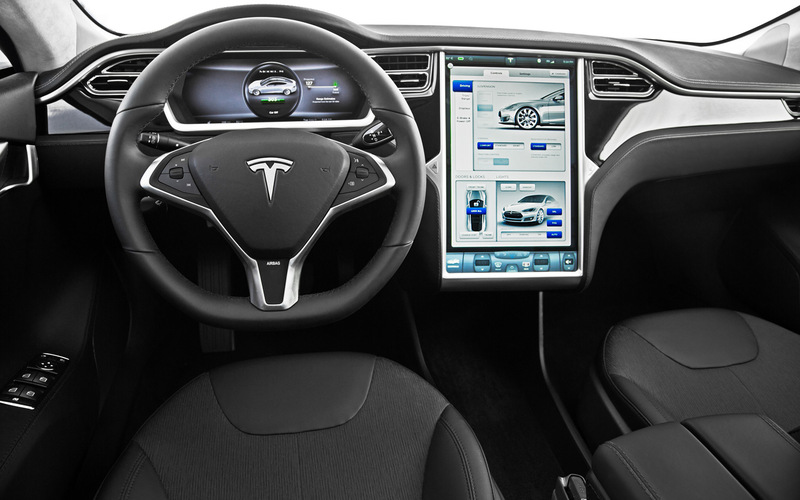 Interesting times are up ahead for Tesla, which announced today that it’ll launch a new product line that isn’t cars. Elon Musk, company founder and CEO tweeted the news from his account today but hasn’t shared any other details. 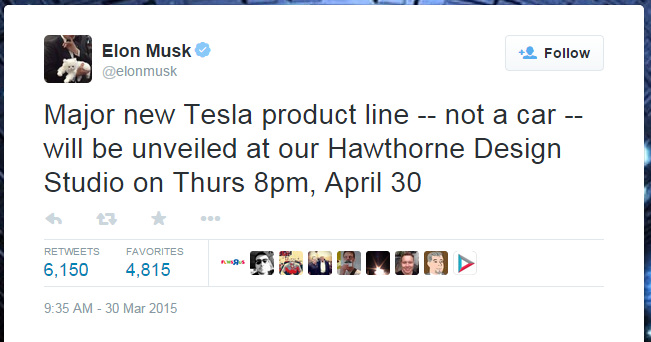 The product will be unveiled on April 30. Musk has been hinting at a new product for a while now. He has previously said that the company is working on a new battery to power people’s homes. In fact, during Tesla’s recent earnings call, he revealed that the consumer battery could enter production in six months. This was disclosed back in February, so the timing of today’s announcement could very well be the battery. A battery could be an interesting product. Tesla has made big strides in battery technology for its cars, so it’d be wise of them to transfer this over to consumers. The batteries could very well be useful in case of outages. Actually, I think it’ll be an interesting solution for those looking to go off-grid. However, nothing is set in stone as of yet. Musk may have something very different up his sleeve. Considering just how interesting his ideas are, I wouldn’t be surprised if he unveiled a completely different product. Whatever the case may be, we’ll find out for ourselves on April 30.